So, I am going to be honest, after Christmas I told my husband- I am kinda over the whole disco ball DIY thing. I loved it. I had a great time. We were a sparkly match but I need a break. Ross & Rachel had one, why cant I? 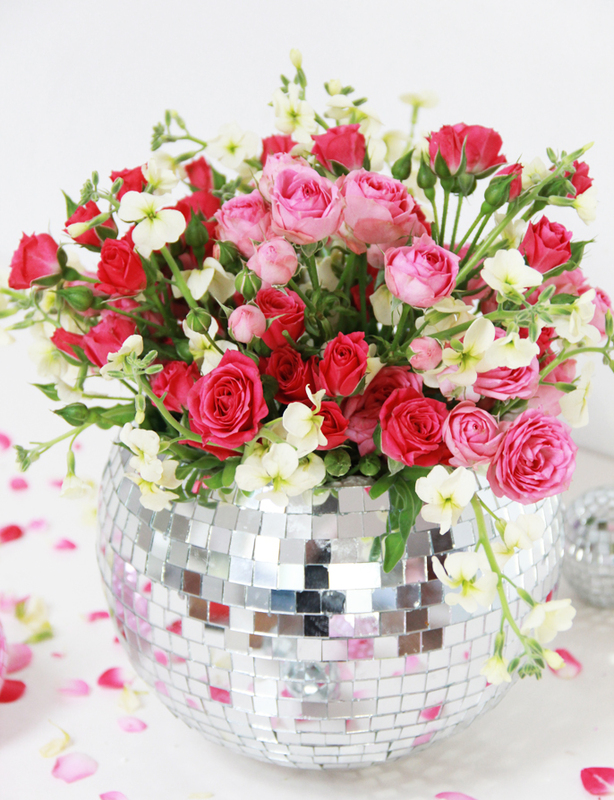 My husband, looking over at my wall of disco balls in my office, says- mmm hmmm… in that sarcastic, I don’t believe you in any way voice. 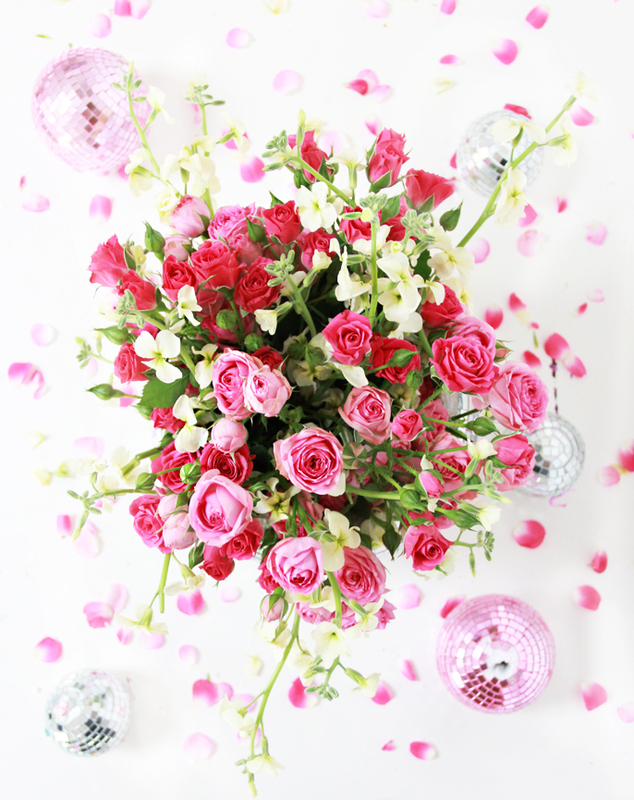 And, now its’ near Valentine’s Day and I have love, flowers, pink and all that on my mind and I am like, wait! 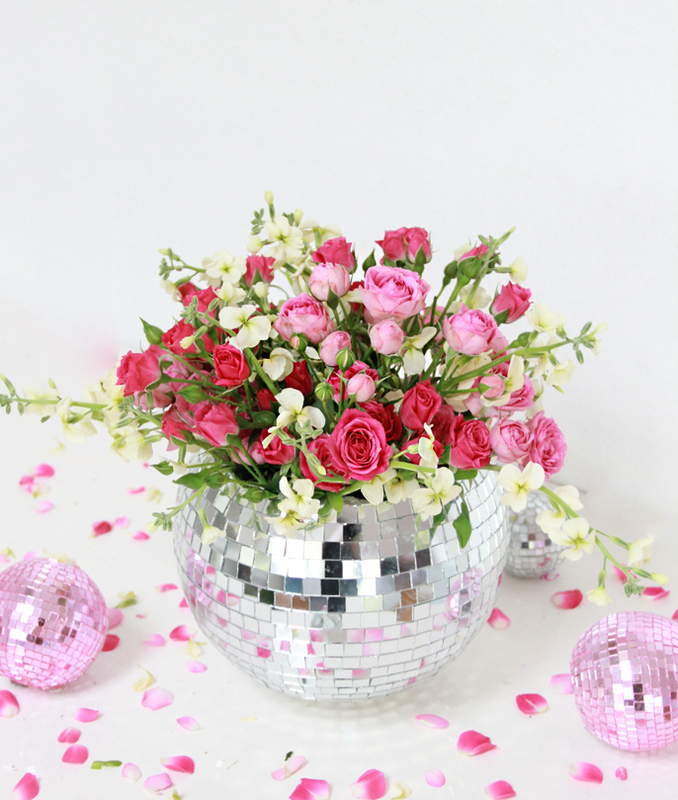 I have never done a freaking vase with a disco ball!? What is wrong with me? So, while I love this DIY, my husband can now gloat how he was right and I am torn in my feelings about the DIY. Marriage is so fun you guys. 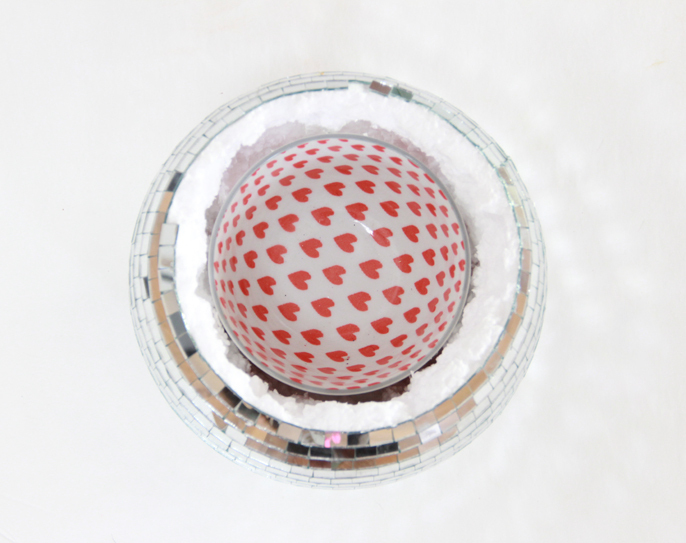 Cut top off disco ball and cut a little off bottom so it can sit still on a table. 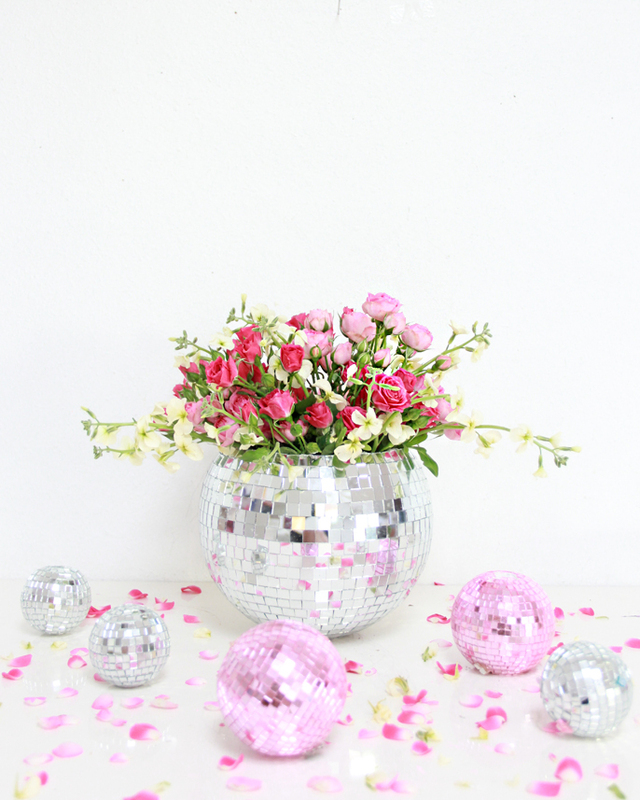 Nick may have been right about this disco ball vase, but maybe now its’ disco ball DIY retirement? Never say never? 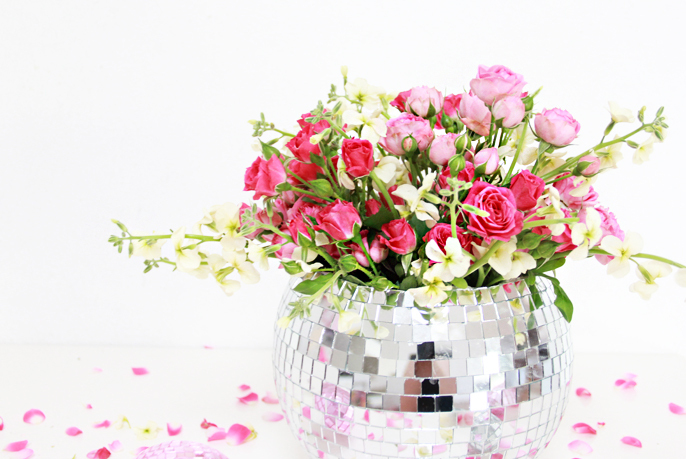 Where can I get the disco ball? The link doesn’t work to the disco ball. I love this idea!